Our friends from Grit OCR hosted a course preview/trail run workout before actual race day on February 16th. The HKP did not miss out on this opportunity to see the new course map in person. It is always more fun when it rains, right? Well, it was wet, muddy and slippery. To start it off, Antonio (owner of Grit OCR), wanted to give out a FREE race entry. One person who carries a 30lb sandbag through the entire course but in order for that one person to have the lovely opporunity to carry the sandbag..volunteers must plank until the last person is standing (or in this case, planking). Kour Team Racer, Rodrigo, and about 10 others went at it for over 20 minutes!! Ultimately, Rodrigo won the plank challenge and ended up carrying the sandbag for his FREE race entry. 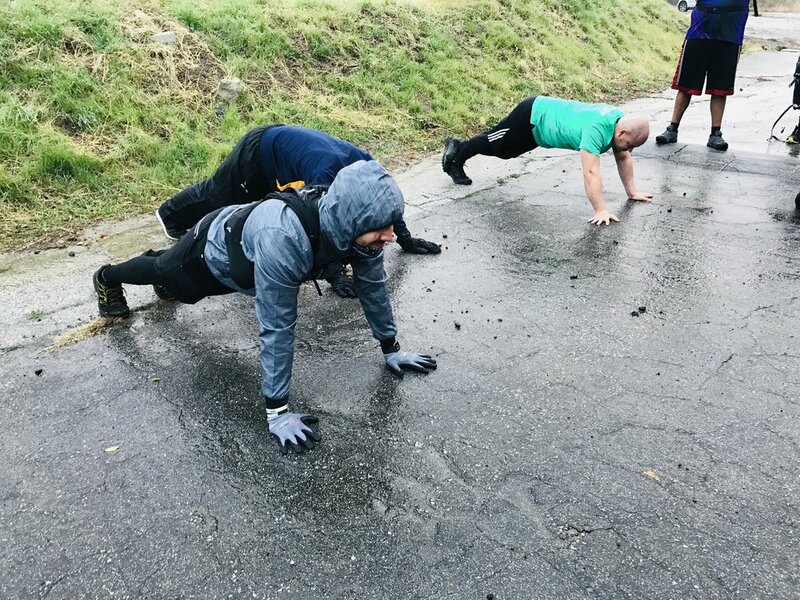 It is rare for Southern Californians to run and/or workout in the rain, so the team thoroughly enjoyed being at East Walker Ranch with the other runners. If you plan on racing Grit OCR in Santa Clarita, use code: hardkour to save 10% off your registration. We are sponsoring the event again this year as we are doing giveaways, try our HARDKOUR CHALLENGE at our booth and hanging out with all of the other sponsors like TuMe, Lululemon and Run Treadmill. GET IN ON THE ACTION WITH US!